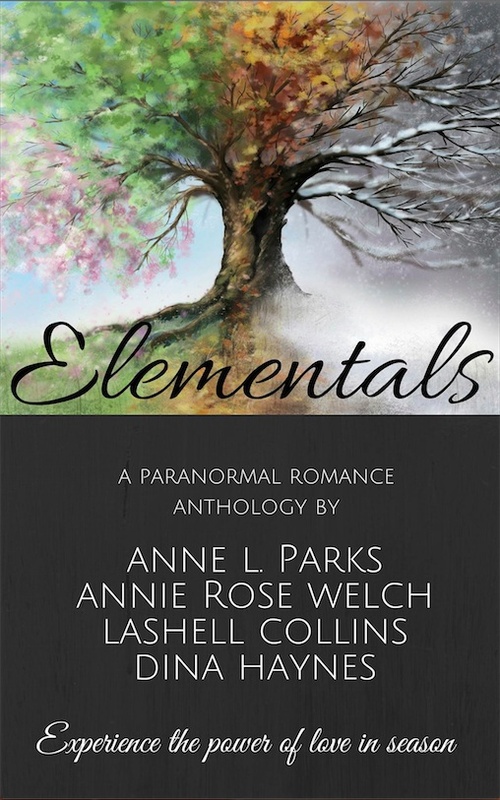 The anthology I’ve been working on with these three talented writers – Anne L. Parks, Annie Rose Welch, and Lashell Collins – releases tomorrow, May 14th! You have one more day to pre-order it on Amazon for the low, low price of $.99. I’ll make it easy for you if you click here. 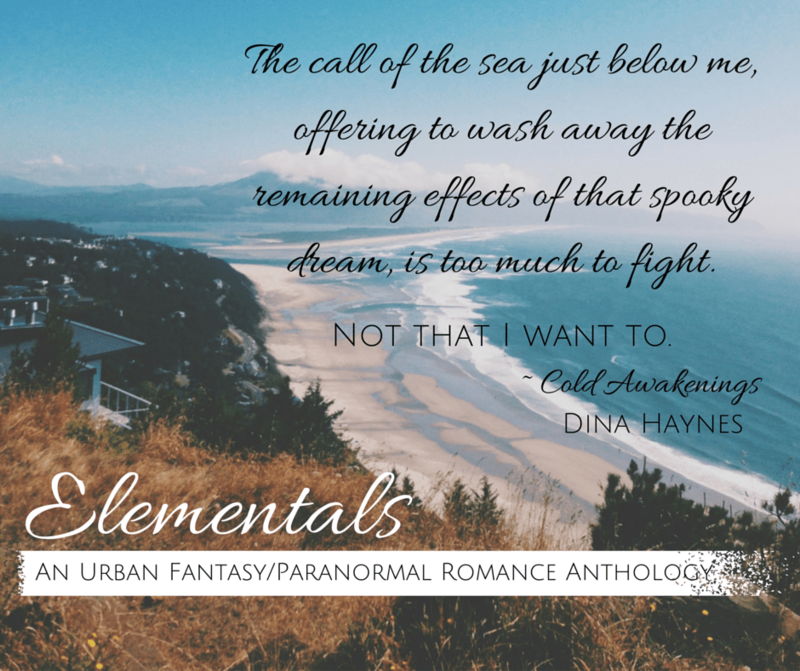 It’s an Urban Fantasy/Paranormal Romance anthology about four sisters who rule the elements air, fire, earth, and water. They are forced to live apart to keep the Mother of All, Gaia, from finding them. Gaia, who created earth, is set on destroying it to start over from scratch. Since we humans haven’t taken good care of her precious planet, she wants us all destroyed, while the elementals who have lived among us, want to see us survive. 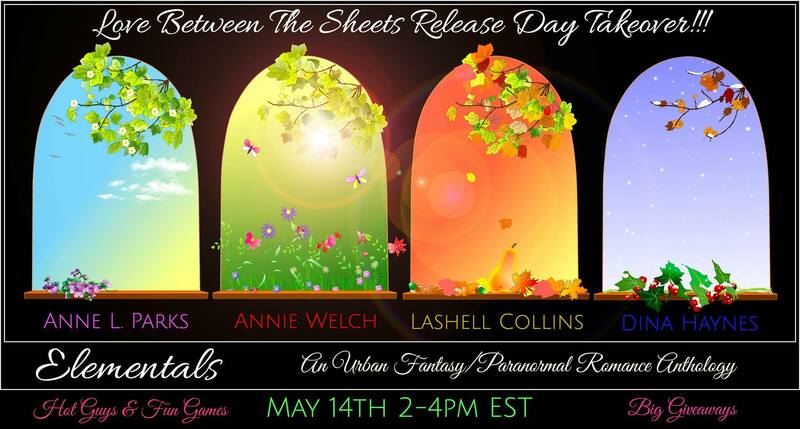 Tomorrow, all four of us will be doing two takeovers on release day to celebrate this new and unique release. What does that mean? It’s going to be like Christmas day come early. If you didn’t get what you really wanted for Mother’s Day – BOOKS, BOOKS, and MORE books – then you’ll want to make sure and click below to take part. And since we’ll be on twice during the day, everyone will have a chance to join in. The first takeover will be earlier in the day on Love Between the Sheets *Facebook page. Please, note the time zone and enter here to join. 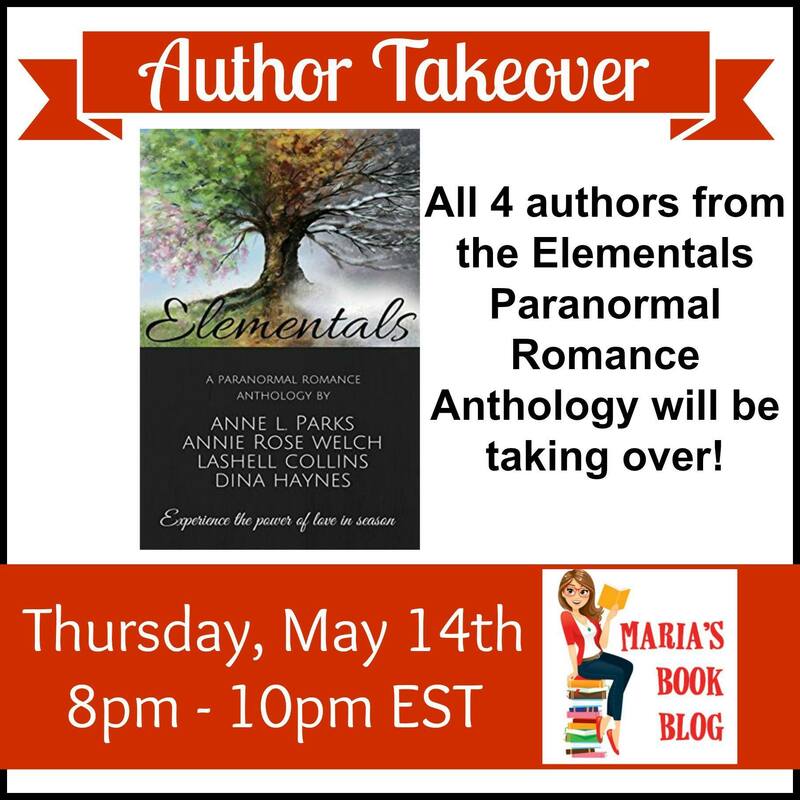 Then, in the evening you can join us on Maria’s Book Blog *Facebook page. Please, note the time zone and enter here to join. *Facebook is in no way affiliated with the contests being held on Love Between the Sheets nor on Maria’s Book Blog May 14th, 2015. Été Munson is the fiery daughter of Gaia, the Creator of All, and the reason the season of summer exists. But when Gaia decides the Earth is too ominous to keep, her plan sends Été into hiding in the mystical town of Bayou Bleue, Louisiana. Autumn Munson lives a simple life. As simple as a goddess in hiding can, that is. One of the four Elemental daughters of Gaia, Mother of All, she’s the very embodiment of the fall season. But when Mommy Dearest gets the crazy idea that the Earth must go, Autumn and her sisters scatter into hiding in a last-ditch effort to save the world.